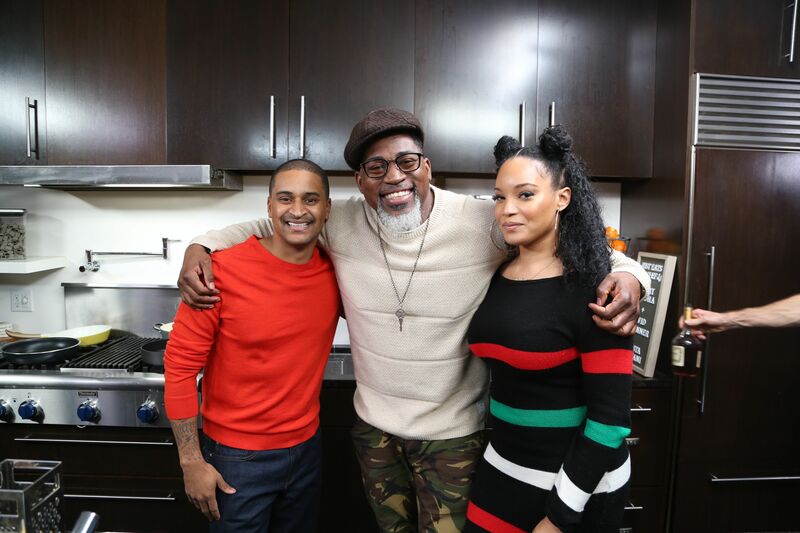 Rapper/Activist David Banner and comedian Glory Mora stopped by Chef JJ’s kitchen for good laughs, good conversation, and really good food! On this week’s episode of “Just Eats With Chef JJ”, Chef JJ and his guests talk culture, cuisine, and more while preparing an Italian classic – Crispy Chicken Parmesan covered in tomato sauce over fresh fettuccine and salad with dijon vinaigrette. Whew chile our stomachs are growling already! While preparing the wholesome meal, the trio dishes on everything from the influences of different cultures on food, the African Diaspora to positive music and creating opportunities for the next generation. Press play below for a sneak peek.